I think one of the biggest misconceptions about wanting to pick up sewing or quilting as a hobby is that you need a lot of space! Or some even believe you need a whole room to start. And we are here to tell you—you DON’T! When I started sewing again almost 13 years ago, I started at the kitchen table. I then moved to a little corner of our play room loft where I sewed for years and years. My kids were little and I could watch them play while I sewed. It was ideal. And while I feel so lucky to have my own sewing room in the basement, I still keep a small sewing corner in my bedroom upstairs with this sewing cart. So today I thought I would show you what is on my sewing cart tutorial for my small sewing space. The cart is a three-tiered rolling cart that you can find at many different stores. HERE is one that I love from Amazon. It would be so cute if you were just starting a sewing cart (affiliate link)! I am so surprised to see how many supplies these carts will hold…they are deep and will hold a lot. Here is the top tier of the cart, where I just keep my basic sewing supplies that I need most often. Pins, a fabric marker, a small ruler, scissors, a thimble and a tape measure. The other essentials on the top tier are some pencils, washi tape and a jar of zippers. 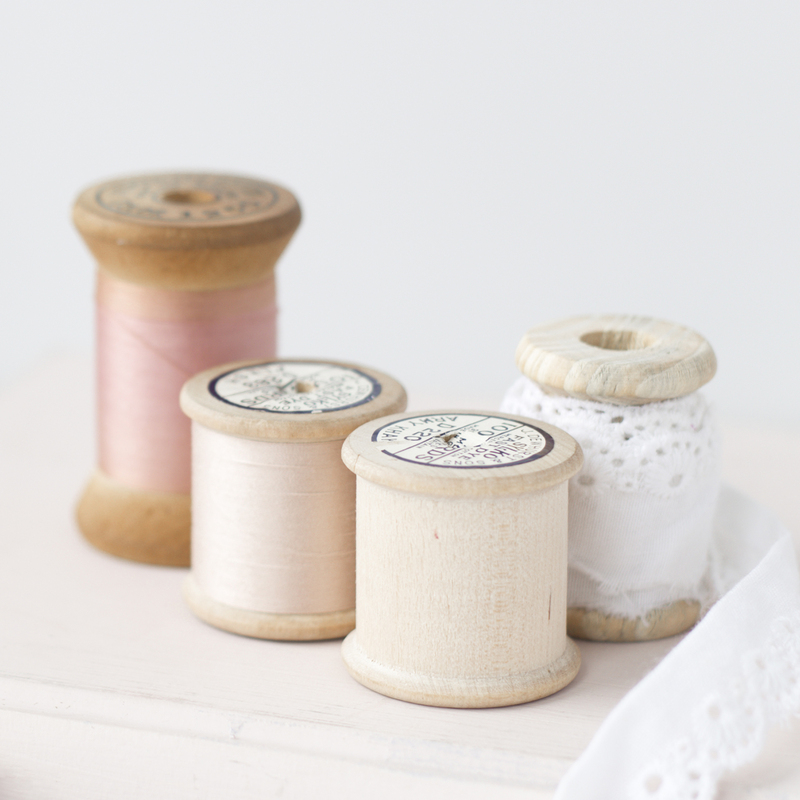 The second tier holds a small rotating cutting mat, a row of patterns and a bowl of thread. The bottom tier holds projects that I am working on as well as fabric stacks that I am waiting to use. And you are ready to sew!!!!! All you need to do is set up your machine and bring your cart to wherever you are. And then enjoy your sewing time. « Which Pins Should I Use? Oh I love this so much! And your little pins and macaron tape measure are just too cute! I’d love to do this in our little London period flat but I just KNOW I would be totally rubbish at keeping it tidy! Love your blog, will definitely be popping back to see what else you’ve both been up to!